Kerouac reading his work accompanied by Steve Allen. Jack Kerouac appeared on The Steve Allen Plymouth Show in November 1959 where he gave the national audience readings from his novels On the Road and Visions of Cody. On the Road, of course, was published in 1957 and is regarded as the quintessential Beat novel and a prime example of the stream-of-consciousness narrative. Kerouac wrote Visions of Cody between 1951 and 1952 based off free-writing prose written for On the Road, but it was not published as a complete novel until 1972. 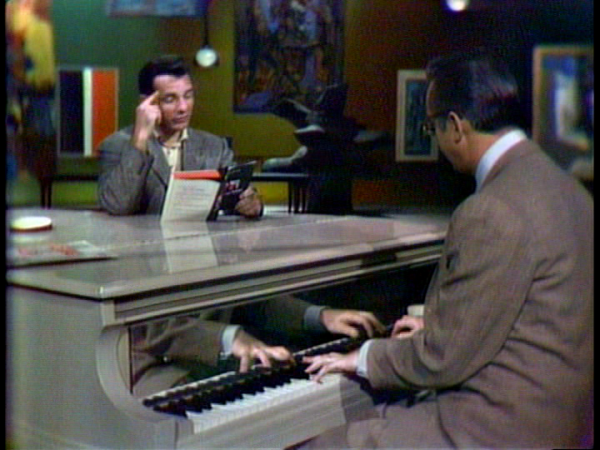 A nice jazz combo accompanies Kerouac, and yes — that is the master Steve Allen joining in on the piano.